Tandem House was created to chronicle the process of designing, developing, and building a unique solution on our residential lot in Denver’s LoHi neighborhood. By blogging, we hope to expose the partnership of ideas and our creative solutions as they are formed and realized. We are a husband and wife team that first met while attending the Architecture and Planning School at UC Denver. We quickly developed an interest in combining our unique skill sets to build something different in the Denver market. With our joined experience in Architecture, Green Building, Landscape Architecture, Urban Planning, Engineering, and Finance we are poised to re-invent the Urban Two-Unit (U-TU) lot that Denver’s Zoning Code gives incentive for dense development. This Blog is our process. Scott grew up in the Green Mountain State of Vermont where he enjoyed the simple aspects of life including the mountains, the outdoors, and the changing seasons. Ingrained in him is a perpetual awareness of the natural environment. Scott began his building experience in construction working for the family business and went on to receive his undergraduate degree in Civil Engineering from Northeastern University in Boston, MA. Scott then traveled west to Colorado to get a taste of the Rocky Mountains, where he began his career in construction management as a Project Engineer, and ultimately became a licensed professional engineer (PE). 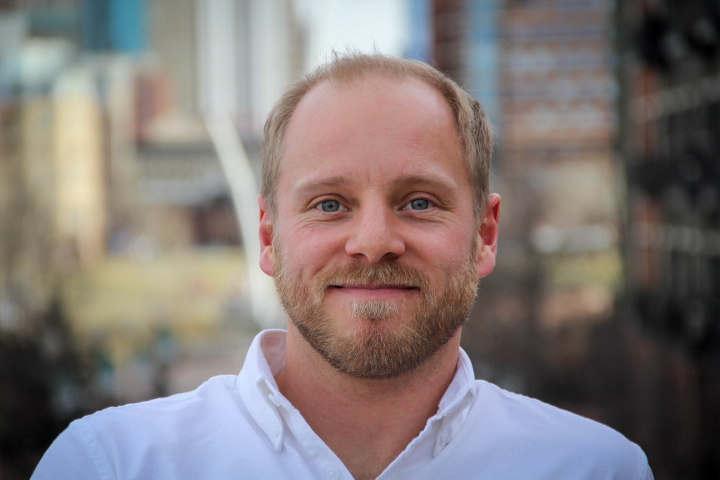 Through a crafted career progression, Scott pursued a Masters degree in Architecture from the University of Colorado, Denver (UCDenver) and is a Licensed Architect. He combined his construction and engineering backgrounds during architecture school by pursuing certificates in Sustainable Urban Infrastructure, and Design-Build. Scott was a member of the Design Build Bluff group that built the Hozho House. Scott’s true interest lies in residential Design-Build. His mission is to make the home a healthy, comfortable place while building a durable, efficient structure. He believes that good design is within reach of anyone, both in rural and urban environments. Architecture is the art (form+space=experience) and science (materials, systems, and structure) of designing and constructing buildings (for all people). Amina started her career in Colorado as a financial markets and investments analyst. Her career path evolved when she chose to explore her creativity by enrolling in a dual masters degree program at the University of Colorado in Landscape Architecture and Urban and Regional Planning. Amina’s combined knowledge and experience enable her to orchestrate the process of development from the beginning to end. Amina’s strengths lie in creating a vision, developing a design and implementing it. She has a strong sensibility of the big picture from identifying a unique market in an urban context to understanding the complex planning and zoning requirements of a site. Developing unique programmatic design solutions is Amina’s expertise. She believes that a unique relationship with the outdoors enhances the livability of a home.